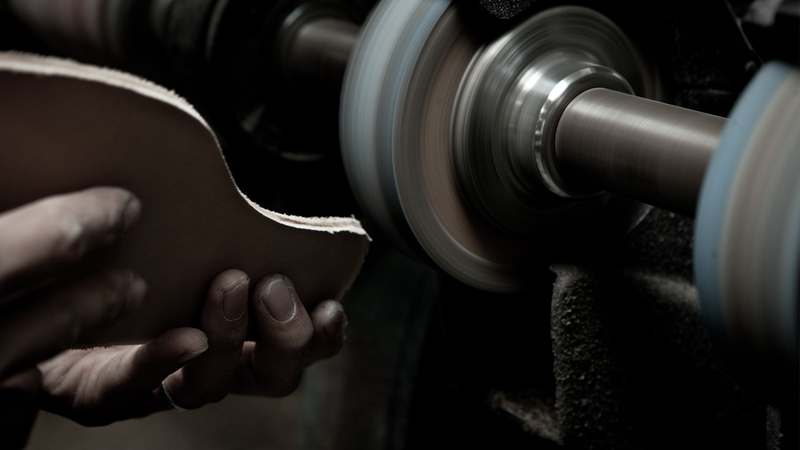 Our shoemaking capabilities and experience enables us to offer more than traditional shoe repair. 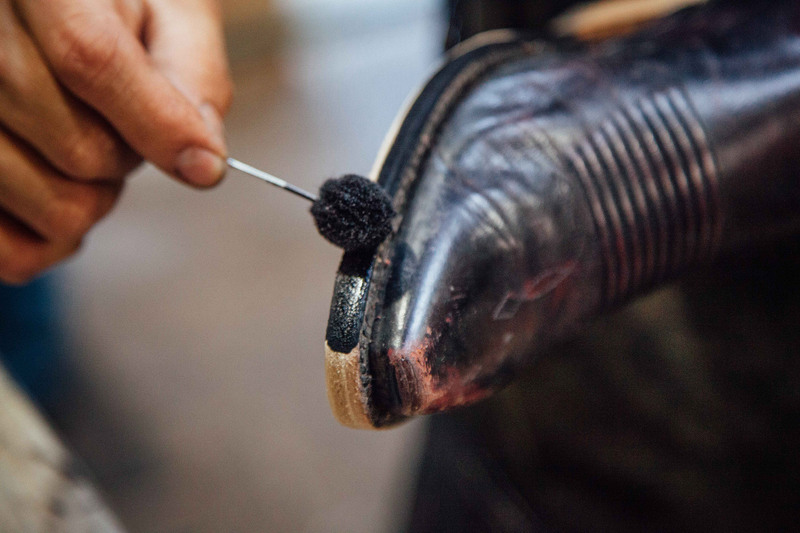 Though resoling and reheeling shoes is our forté, we especialize in reCrafting and Shoemaking. Scroll down to see some of the work we do. Come in with any ideas or inquiries. Its recommended by the cobblers of the world to add a sole protector to the bottoms when they are either brand new or hardly worn. 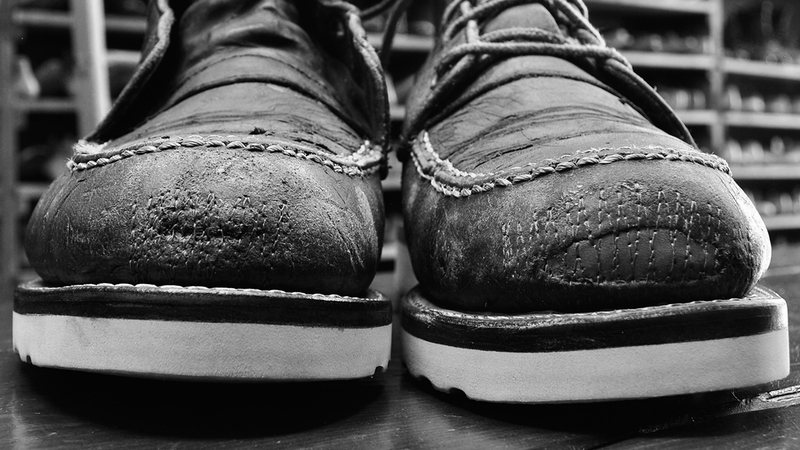 Sole Protectors is easily the best thing you can do to your shoes to preserve their basic functionality. Comes in colors that bend well with most original leather soles. 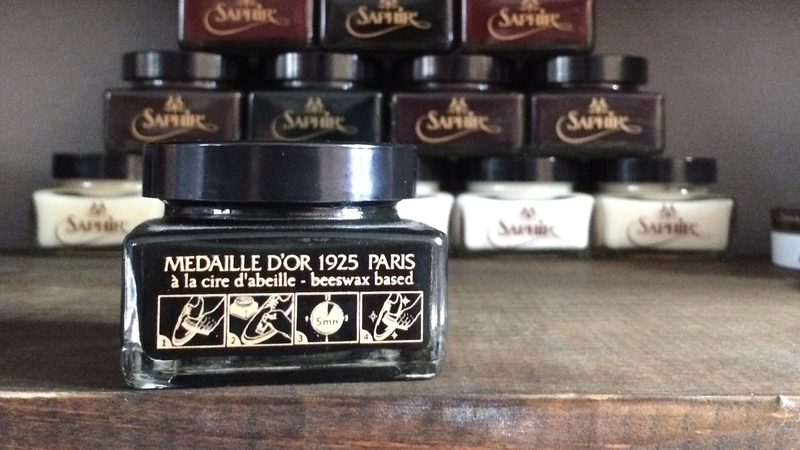 For the last five years or so we have been using and selling Saphir Shoe polish, both their Medalle D:or and their more comprehensive line. Come in with the shoes you’d like to polish, we’ll be happy to help you pick and show you how to better maximize the use of it. Pre-finishing a leather sole in a 1920’s in line finisher. We approach our sole finishings similarly to how a woodworker finishes their furniture. In this case we applied multiple coats of leather-dye, in between each coat we either flatten the edges with a housemade wood stick or wet sandpaper. the goal is to seal the color and penetrate the dye as far as we can get it so the color stays in longer and better. These cowboy boots were kept scuffed up on the uppers, but the soles were black and shiny as a brand new pair.